Caskett 愛. . Wallpaper and background images in the Caskett club tagged: caskett castle. 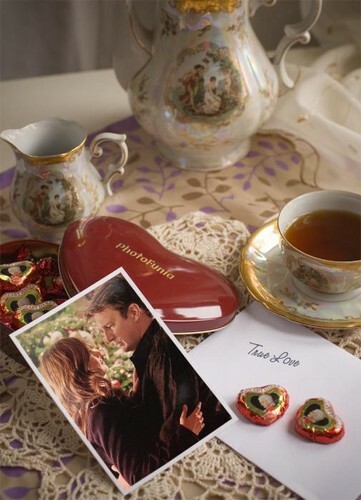 This Caskett fan art contains トルココーヒー, トルコ コーヒー, コーヒーブレイク, ティーブレイク, コーヒーブレーク, 茶ブレーク, and ティータイム. There might also be 杯の紅茶, 銅, cuppa, cupper, 1 杯の紅茶, ディナー, お茶, and 紅茶. 城 Season 5 Behind-the-Scenes Set Pictures of Nathan Fillion, Stana Katic, and Jon Huertas! "You fell for me the first moment あなた saw me."